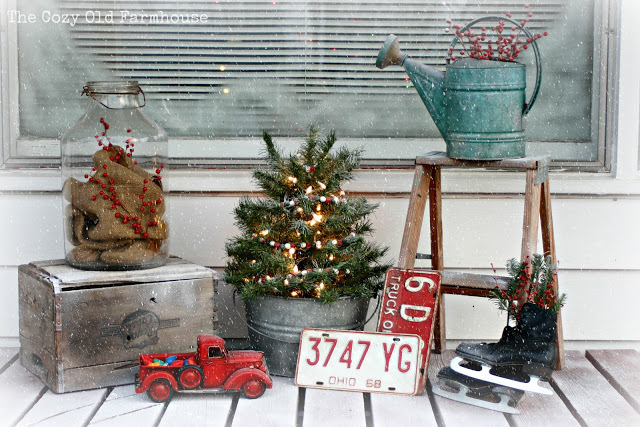 Having grown up in Utah, Christmas means white, cold, and snow to me. 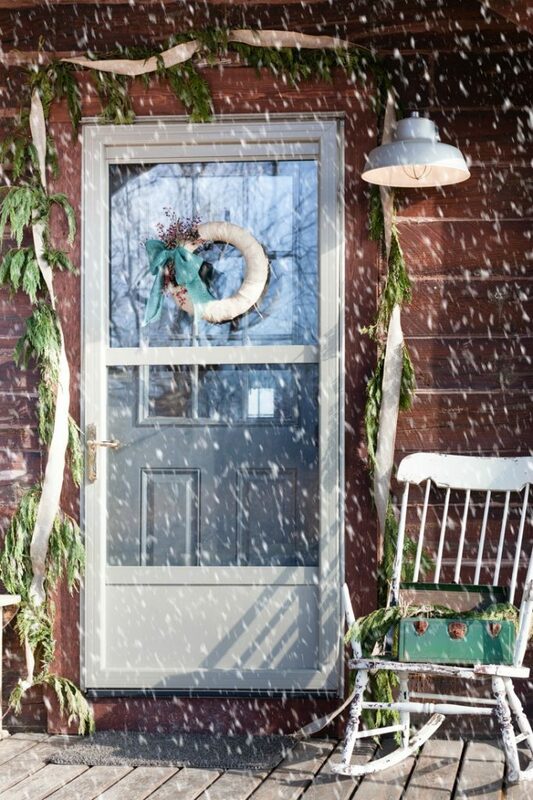 And where I live now (still in Utah) the winters are extremely windy as well. 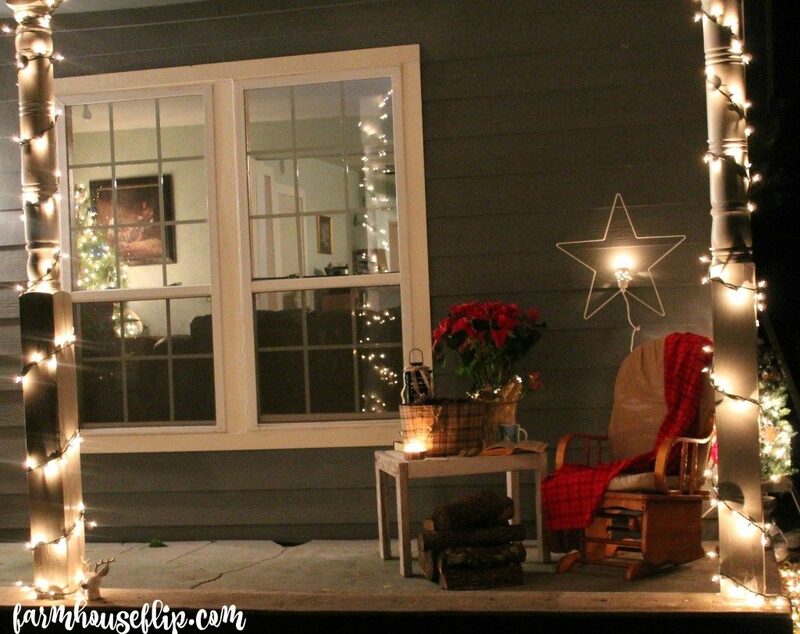 So as much as I want to deck out my Christmas porch with amazing decor, I have to really take into consideration things that will stay put. 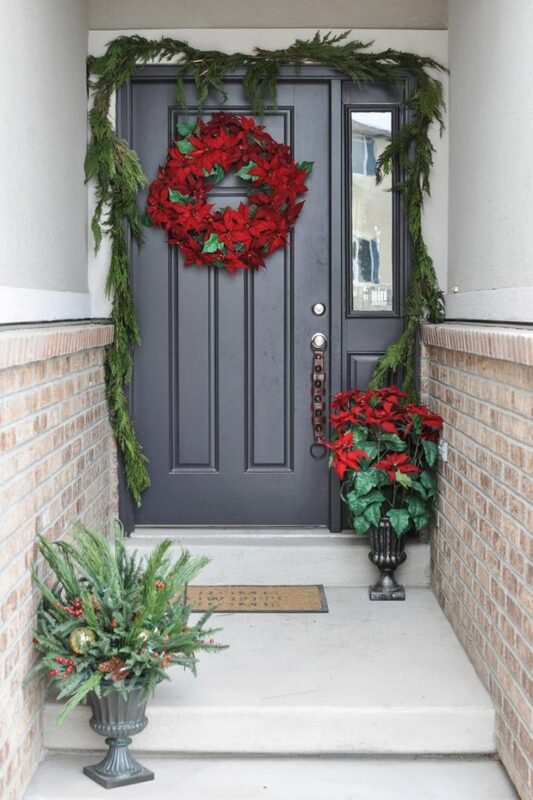 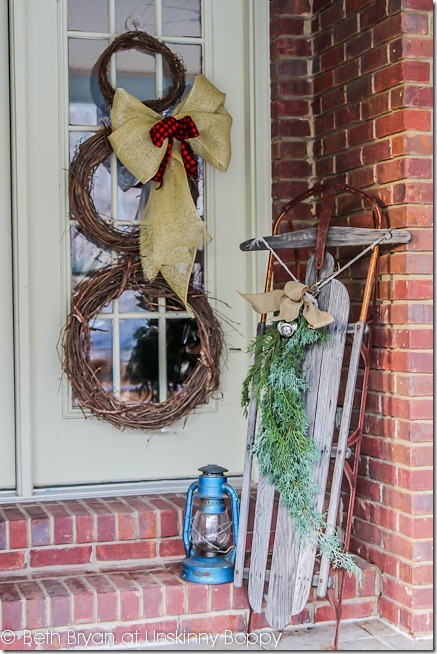 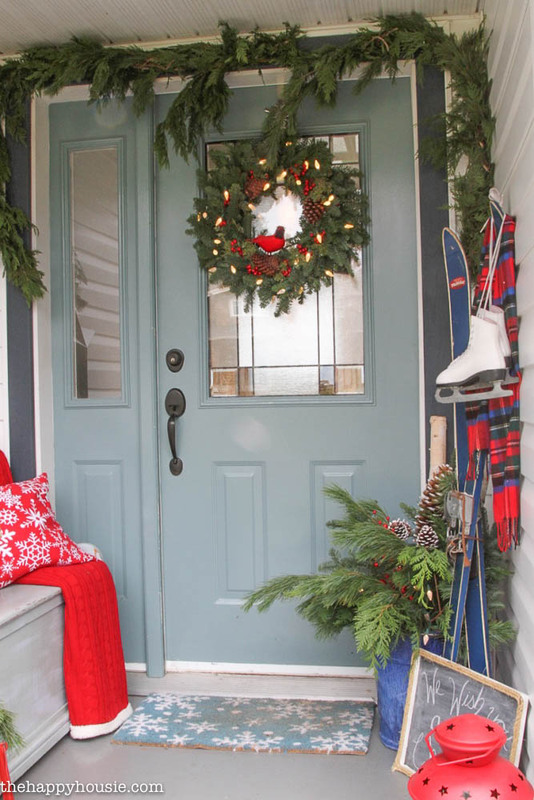 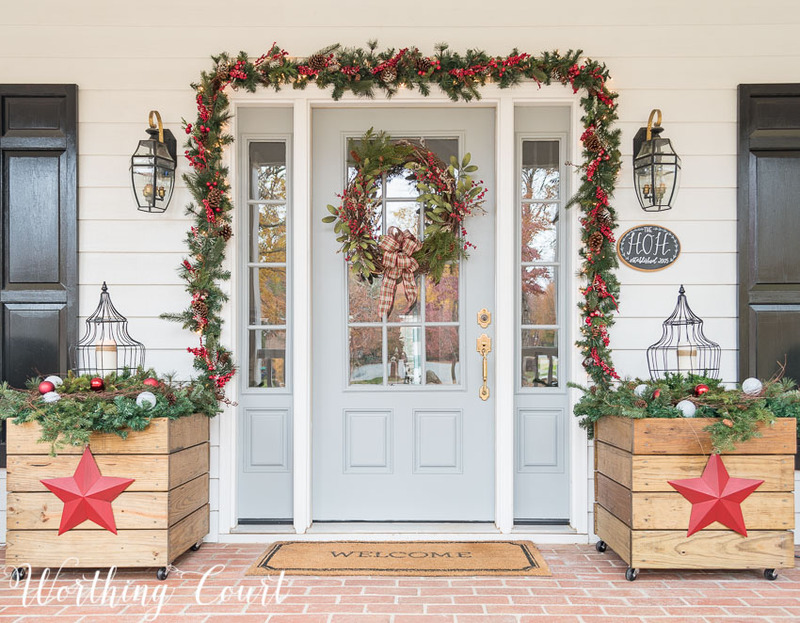 I love checking out other Christmas porches from my blogger friends…it’s so fun to see the little twists they put on the old classics of garland and sleds and whatnot. 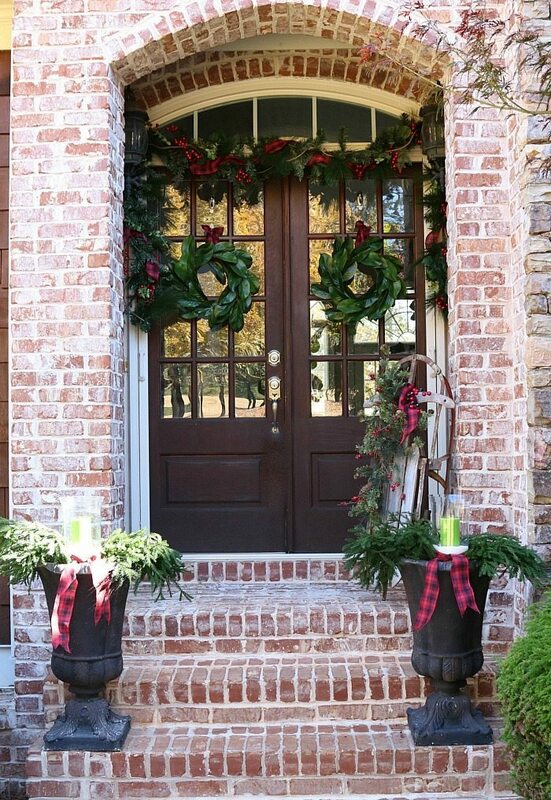 I have to admit, sometimes when I see Christmas decor in warmer places, it’s hard for me to imagine. 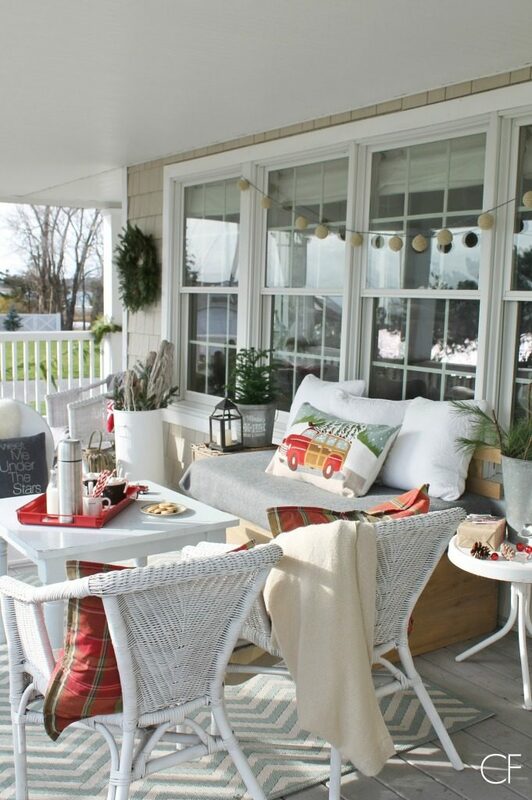 But I’m also a little jealous of the warm weather when it’s freezing cold here! 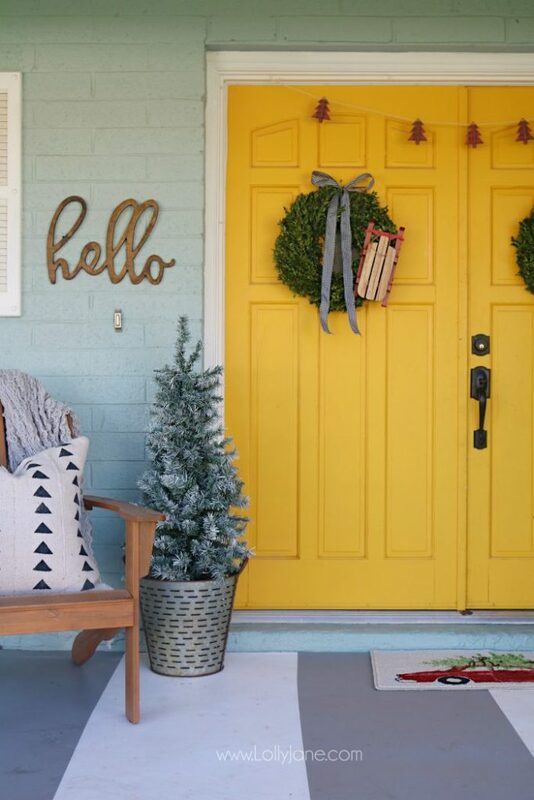 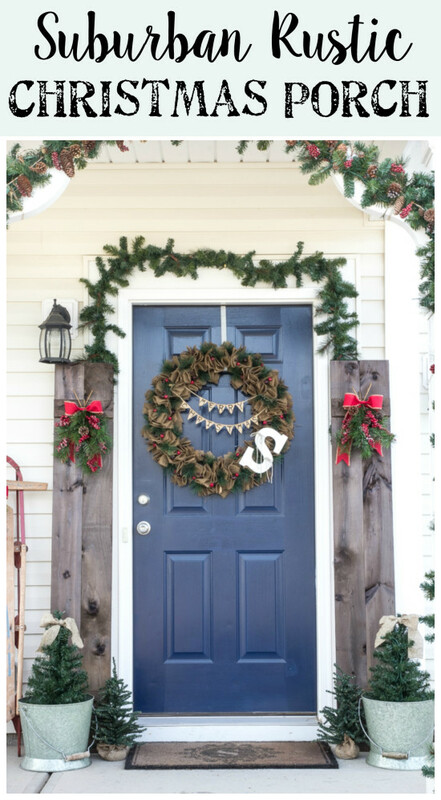 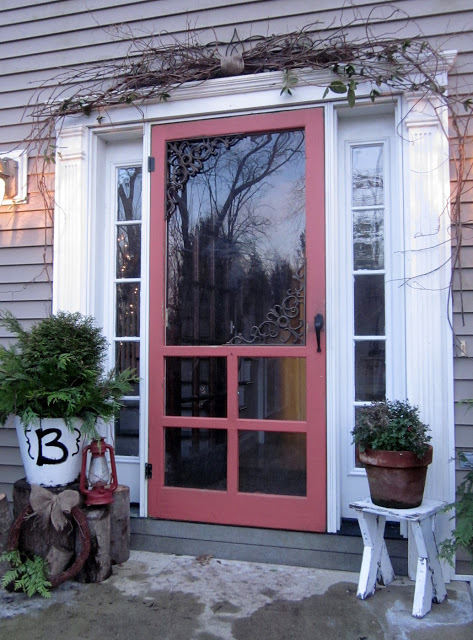 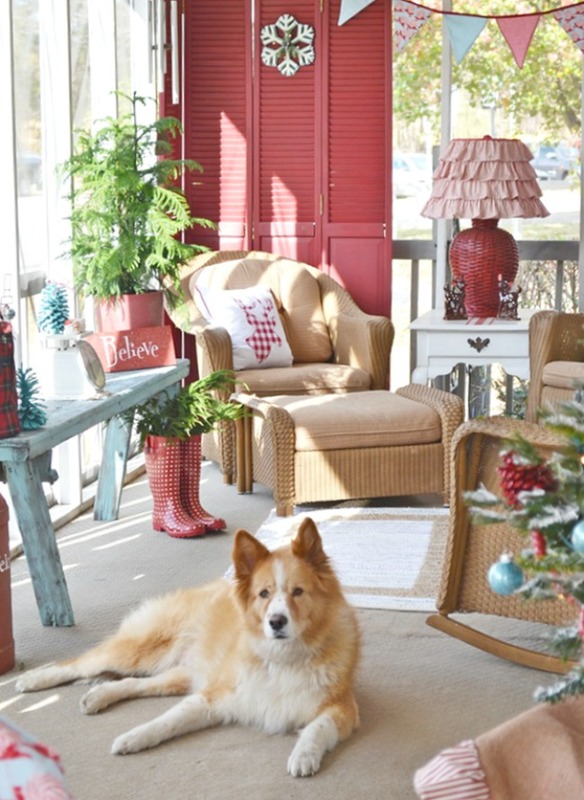 Check out these 25 beautiful farmhouse Christmas porches! 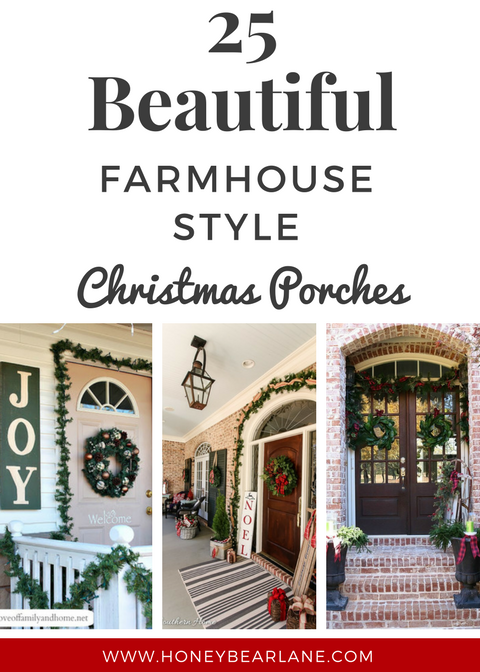 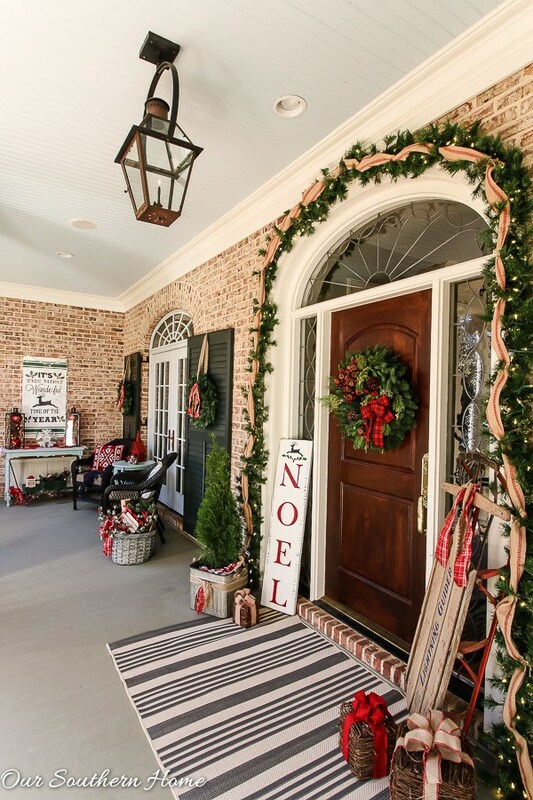 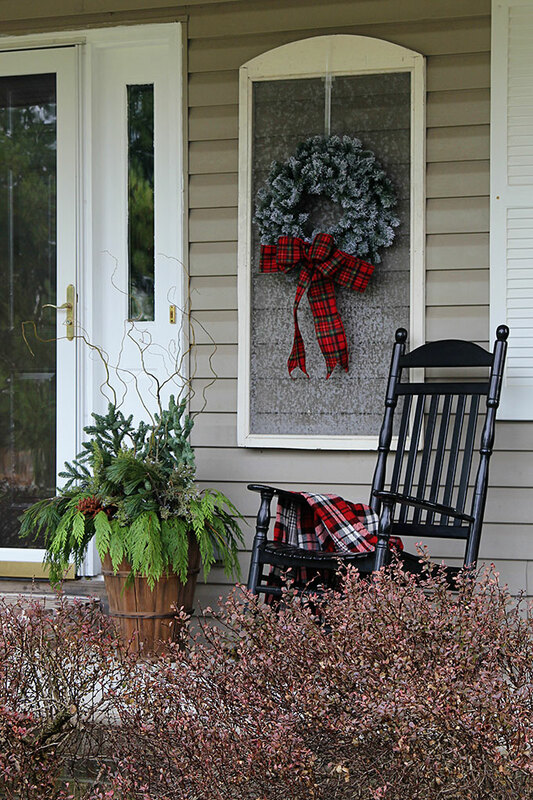 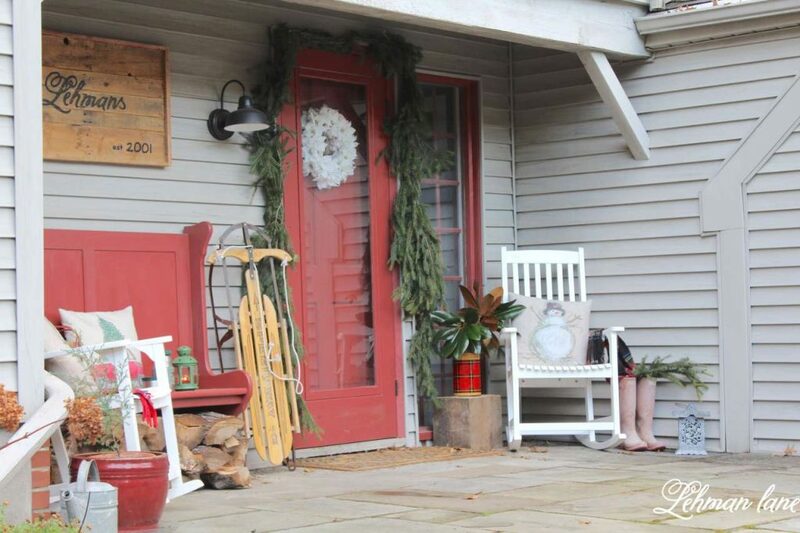 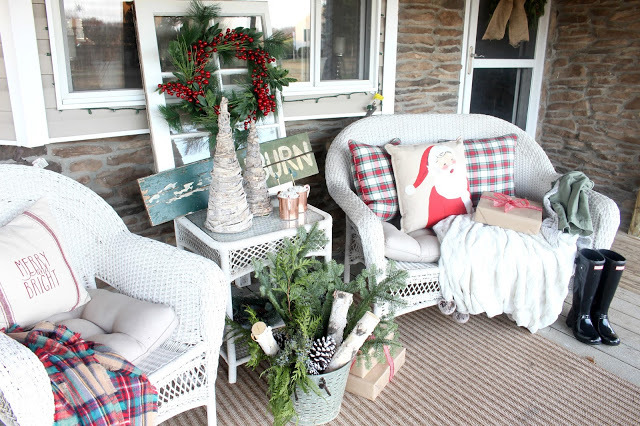 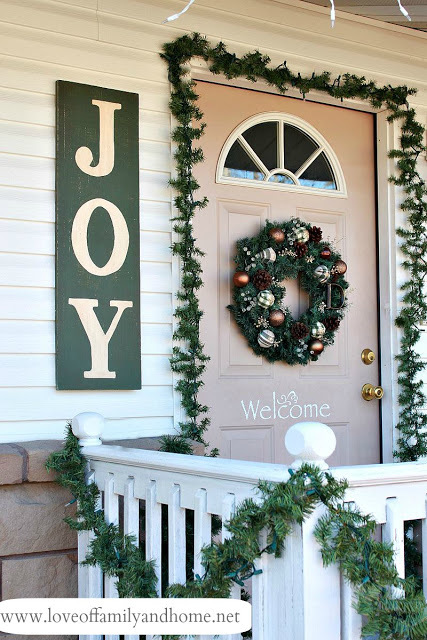 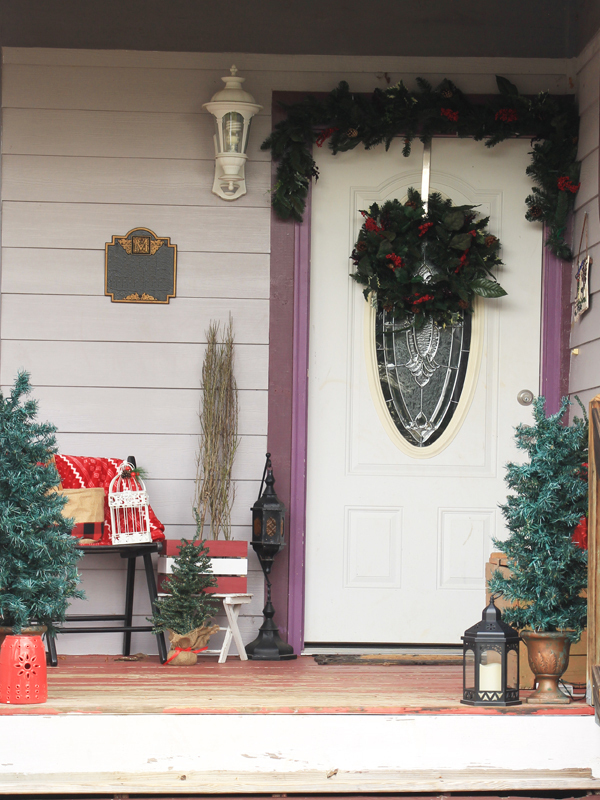 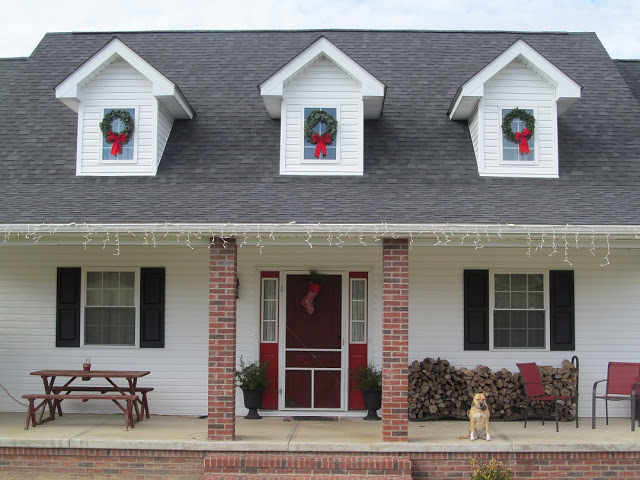 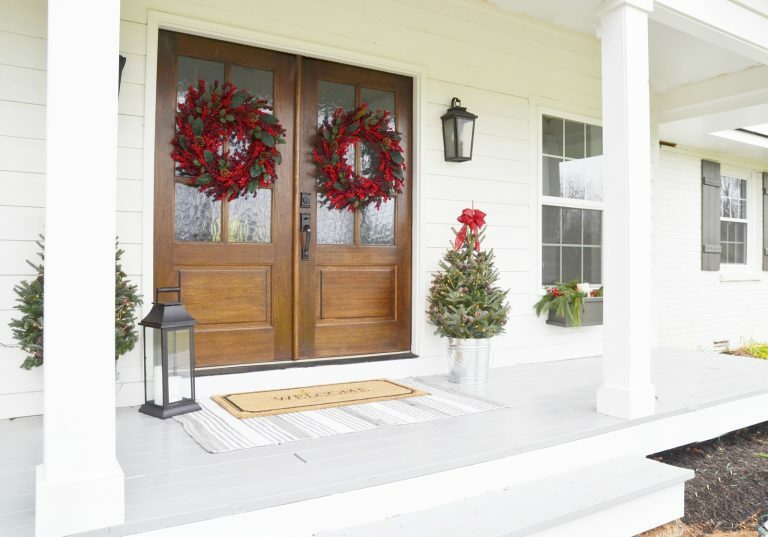 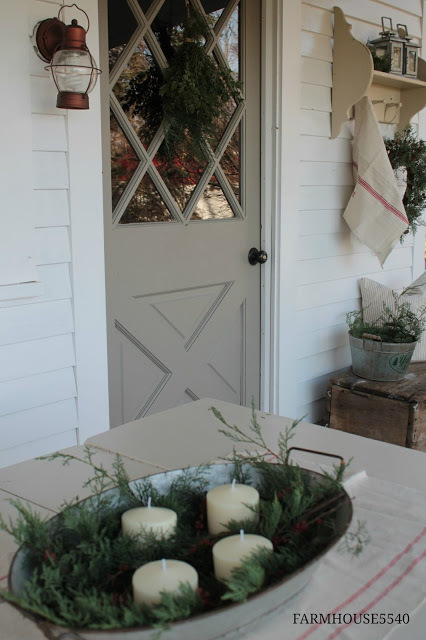 I just love all these farmhouse Christmas porches! 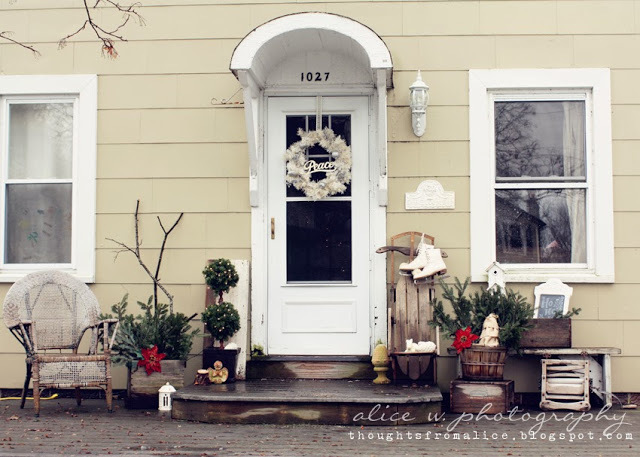 I love the old rustic style, the simple style, and the more traditional style. 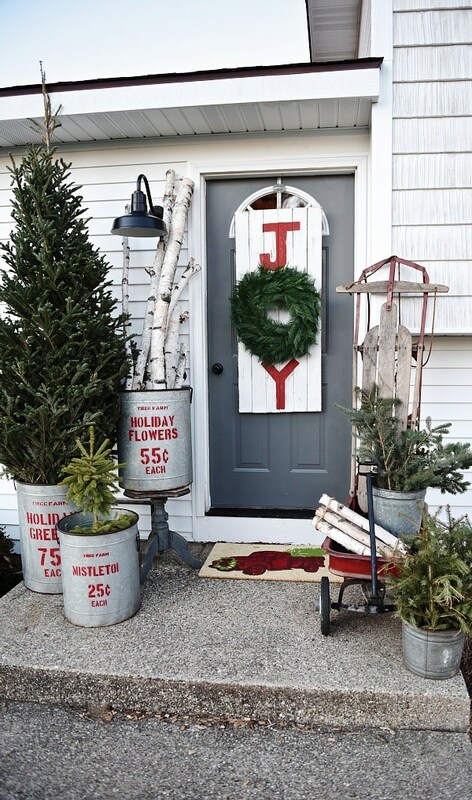 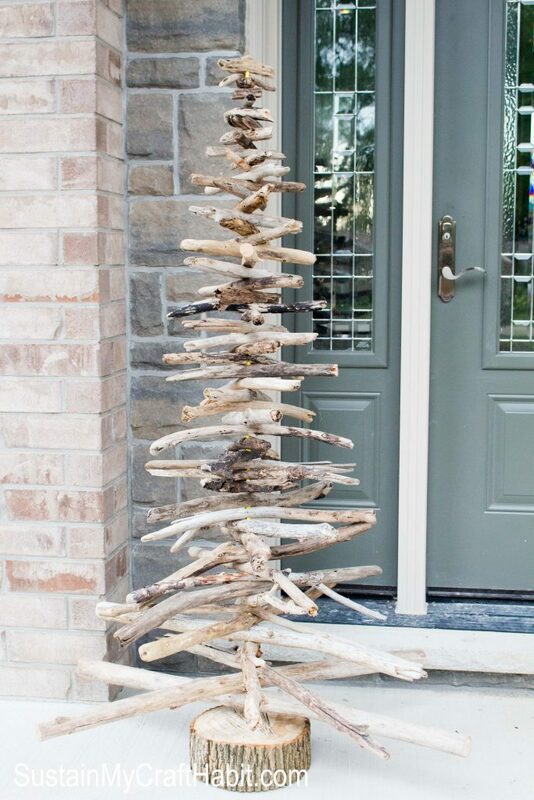 It’s making me inspired to go throw out those old hay bales and get my porch decked out!